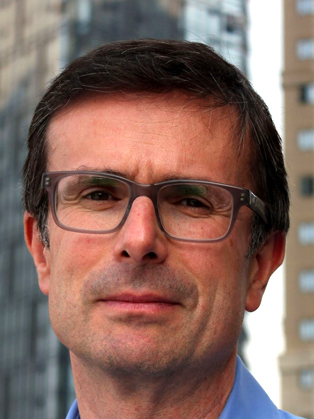 Prior to his high-profile move Robert Peston was the BBC’s Economics Editor, revealing the stories behind the statistics and explaining the implications of domestic, European and global economic shifts. Before that, as Business Editor, he broadcast and published a series of exclusive and influential stories about the global financial situation. He revealed the crises at Northern Rock and RBS, the emergency rescue of HBOS, and the tumult around the credit crunch, bailouts and austerity. Before joining the BBC, Robert was City and Assistant Editor of the Sunday Telegraph, in charge of the business and money sections. and the FT's Financial Editor. At the FT, he was a member of the editorial board and earlier he served as its Political Editor, Banking Editor and founder of the investigations unit. Away from the cameras Robert has also won plaudits for his online journalism, and he is the author of critically acclaimed books including How Do We Fix This Mess? and Who Runs Britain?. Both examine the causes and long-term implications of the 2008 financial crisis. Amongst of wealth of journalism awards Robert has to his name, he has won the Royal Television Society's Journalist of the Year, Specialist Journalist of the Year, and Scoop of the Year (twice), the Wincott Prize for financial journalism, and the Broadcasting Press Guild's award for Best Performer in a non-acting role. Robert has written and presented a number of documentaries and factual series, notably four films about China's boom and probable bust, two films on the EU referendum, three films on the financial crisis, and the popular series Robert Peston Goes Shopping.